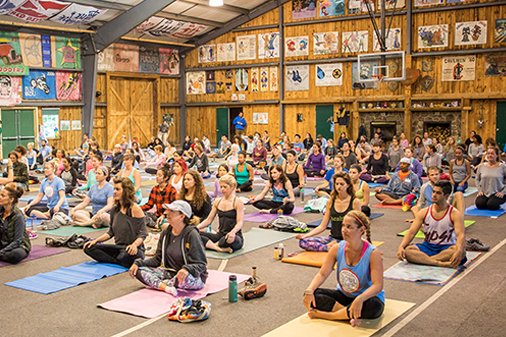 Sign up for Soul Camp's 5-day meditation series led by renowned teachers. It's free! Enter your first name and email below to sign up. 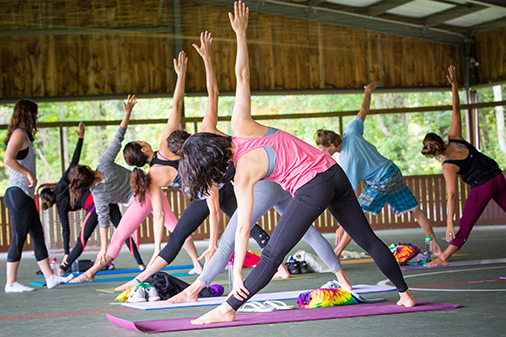 Soul Camp is the premier adult sleepaway camp for wellness and transformation. We bring together experts in multiple areas of wellbeing and hundreds of people - just like you - who are looking to recharge their minds, reawaken their purpose and take action to make their lives and this world a better place. Soul Camp exceeded my expectations in EVERY way! I felt it was a brief reprieve from the chaos humanity has created while getting a glimpse of the greatness we're capable of…it's not just a gift to experience that glimpse, it's a miracle. No detail was left undone. From the moment I arrived I was welcomed by cheerful, helpful spirits and I was totally spoiled by the choice of classes and the snack table complete with healthy food and drinks! I wasn't sure what to expect as I live in a very practical world, normally. I left more calm and centered and it's stayed! Thank you. I had no idea what to expect, but now I can't stop talking about it. Soul Camp! Anyone that wants a jumpstart to healing old wounds and taking charge of their life should buy a ticket....yesterday! Soul Camp has been the catalyst for so much positive change in my life. To be surrounded by so much love, support and joy has opened my heart and has given me a clearer vision for how I desire my life to be each day. I had a lot of resistance about coming to Soul Camp. How could I leave behind all the to-do's, and family/friends-in-need, and rehearsals-in-progress, and things-left-undone? But I showed up and I was totally blown away and transformed by you all. If you enjoy atmospheres that push you to expand your human vessel you have found it! Chief Soul Officers Ali and Michelle have birthed a beautiful experience that I would recommend to everyone on the planet! JOIN THE FUN + START EXPERIENCING MORE HAPPY MOMENTS, NOW!